For questions about bike rental availability, please email the Secretary of Sustainability at sgasustainability@umass.edu. The UMass Amherst Bike Library rental program provides free bicycles to students, faculty, and staff. The program is operated by the Student Government Association (SGA) and the Physical Plant and was made possible through a donation from the class of 2010. In Fall 2018, the SGA partnered with UMass Amherst Bike Coop to make sure that everyone who rented received a tune-up for their bike (paid by the SGA). What: We will be helping students/faculty/staff fill out lending agreements and send you home with a free bike to ride for the year! When: Bikes will be given out from 12pm to 4pm on October 30th, 2018 on a first come first serve basis; if no one's there, they're all rented out! Where: Outdoor entrance to Maple Hall bike storage unit. RETURN DATE: Bikes may be borrowed for the entire year and must be returned to the same location in working condition on April 26th, 2019 between 12pm and 4pm. 1. Lenders must arrive in person and be prepared to fill out lending agreements/contact information and take the bikes home with them. 2. Lenders will be given one free bike tune-up paid for courtesy of the SGA. 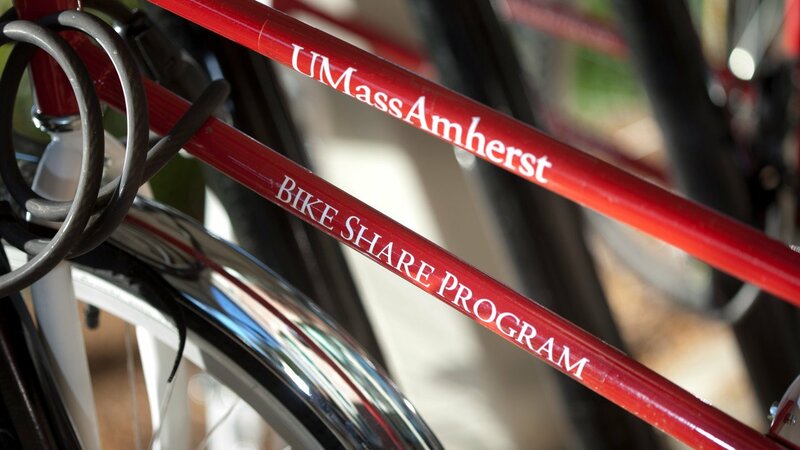 Once you receive your bike, we advise you bring it straight to the UMass Bike Coop! 4. We’ll see you on October 30th from 12pm to 4pm to help you pick up your bikes! Happy riding! !